Montenegro – Country No. 18!!!!! We had done well during our first month – completing over 2000km in just 30 days! We think we are fitter now than we have ever been, what with the fewer rest days and longer distances per day. We’re managing to eat up 700m climbs before our morning tea break if we put our minds to it. The new lower gears are certainly helping as is the need to carry less water now that we can fill up pretty much anywhere. All the people in Montenegro are extremely tall. Tall and straight backed. This is no exaggeration, its successful basketball team is a good testament. 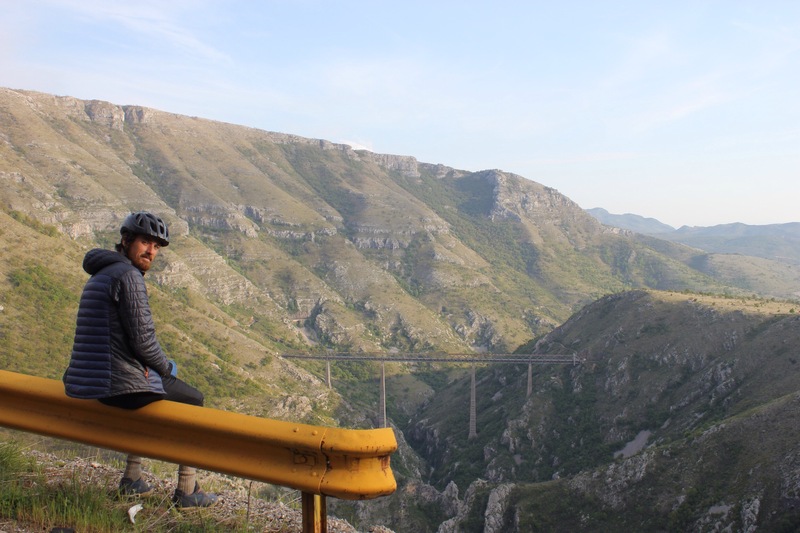 Montenegro is very, ﻿very beautiful – a great place for outdoor lovers – and we enjoyed some really nice cycle days making our way down to Podorica, the capital. We didn’t have the best weather, the blue skies of Kosovo disappeared under thick grey clouds with us experiencing some epic thunderstorms later in the week. Fortunately we managed to escape most of the rain by strategically stopping in undercover spots and camping underneath bridges. We spent the Easter bank holiday here and as its a predominantly orthodox Christian country we recognised a few of the festivities. 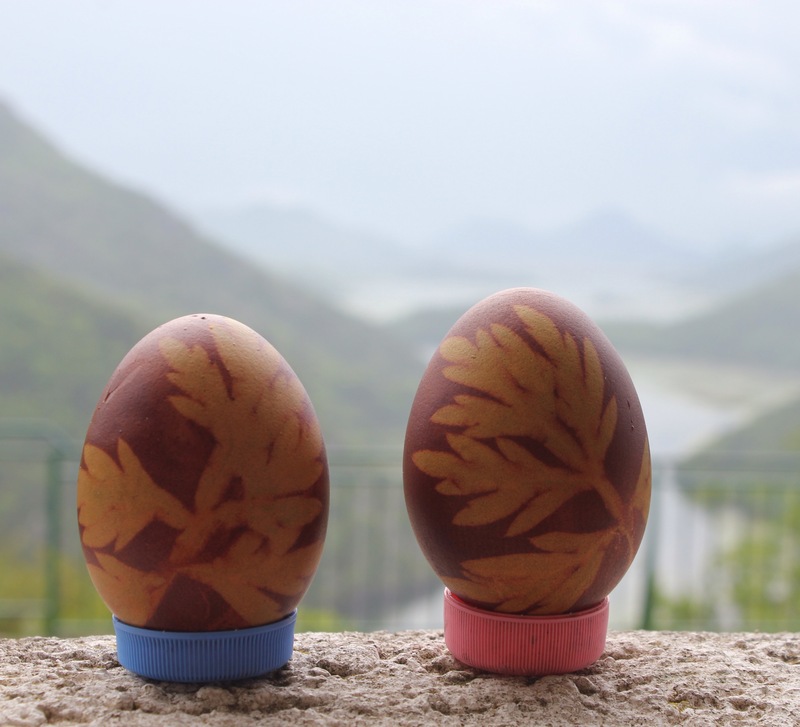 We were looking forward to buying a large chocolate Easter egg but they don’t have them here… The cadbury’s commercial takeover of Easter hasn’t reached here and instead they paint hard boiled eggs. We got given these beautiful ones by a family outside a shop on Easter Sunday. 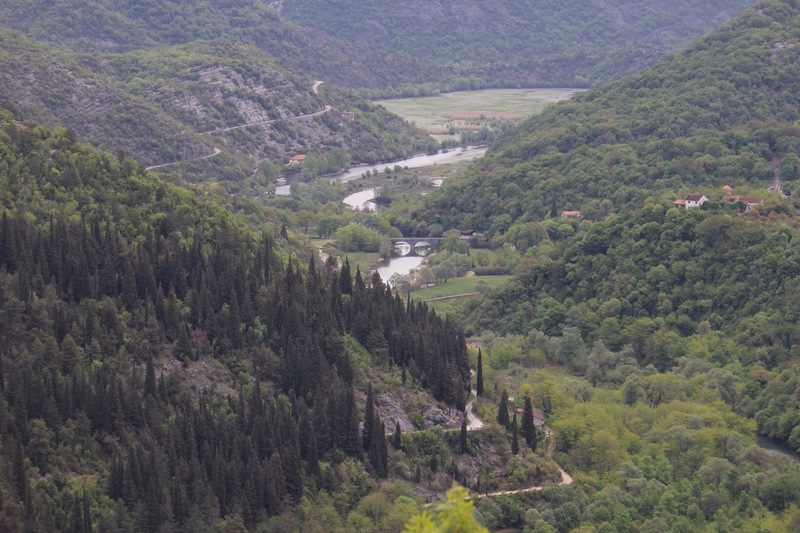 Because of its topography, Montenegro doesn’t boast any major dual carriageways or motorways. They have gotten very good at building small roads which twist and turn nicely up the side of a mountain but anything bigger than an A road has defeated them. To solve this problem they’ve turned to the Chinese government – Who better than the Chinese to sort this problem, we know from experience how good they are at building huge infrastructure projects in remote, rugged mountainous terrain. It feels more Slavic here and the country has a subtle overlay of Russian culture about it. 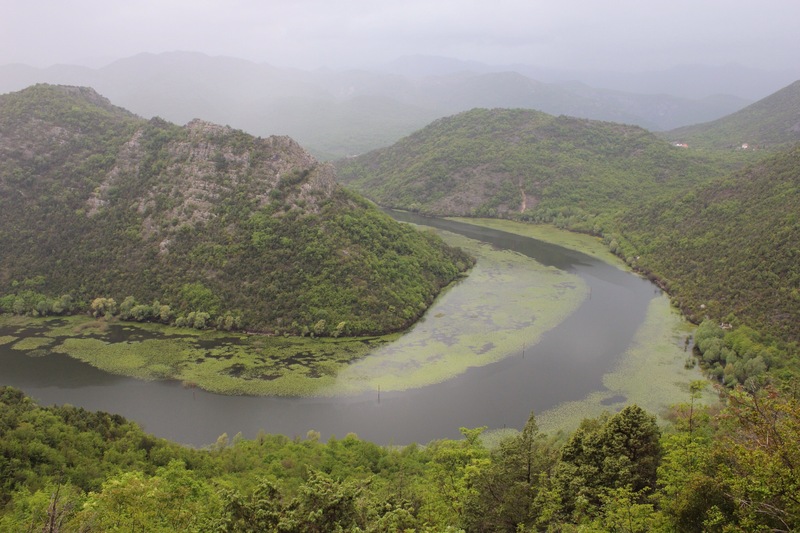 Montenegro sided with the Serbs after the breakup of Yugoslavia and for a time the two countries united under the banner of Federal Republic of Yugoslavia. Lots of people seem to speak German as a second language here, possibly because of the Austrio-German occupation of this area before the First World War. 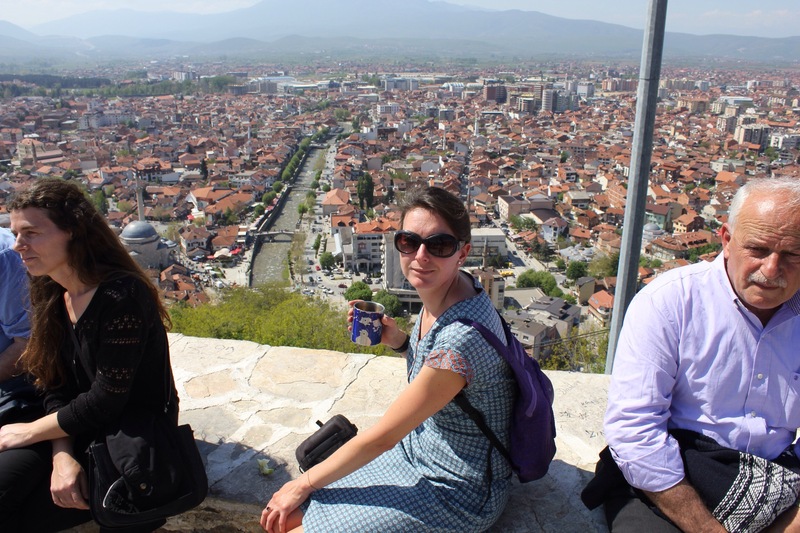 Podgorica the capital was once called Titograd has almost nothing to offer – harsh, but true – and all we did there was stop at the riverside park to eat lunch. It’s not much of a city, more of a town with plenty of concrete apartment blocks. 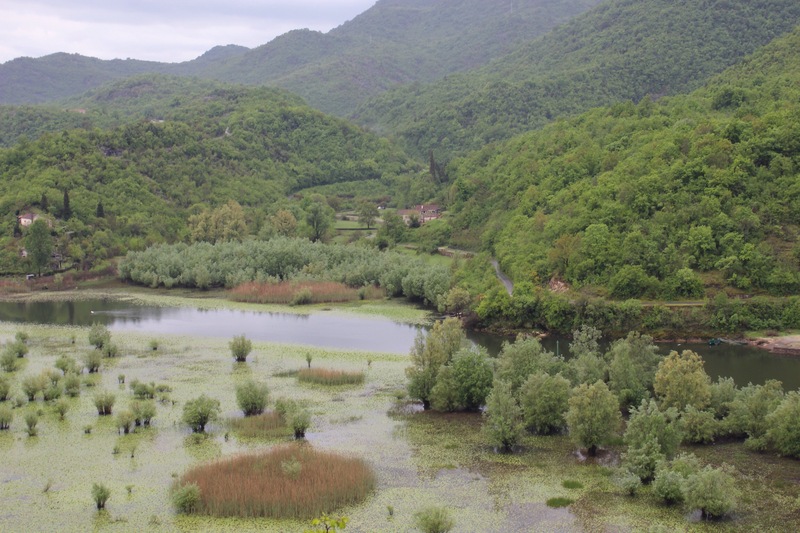 From here we climbed towards Kotor and took a detour to Montenero’s old capital Rijeka Crnojevica; a picturesque tiny village on lake Skadar which is an exceptionally amazing place. 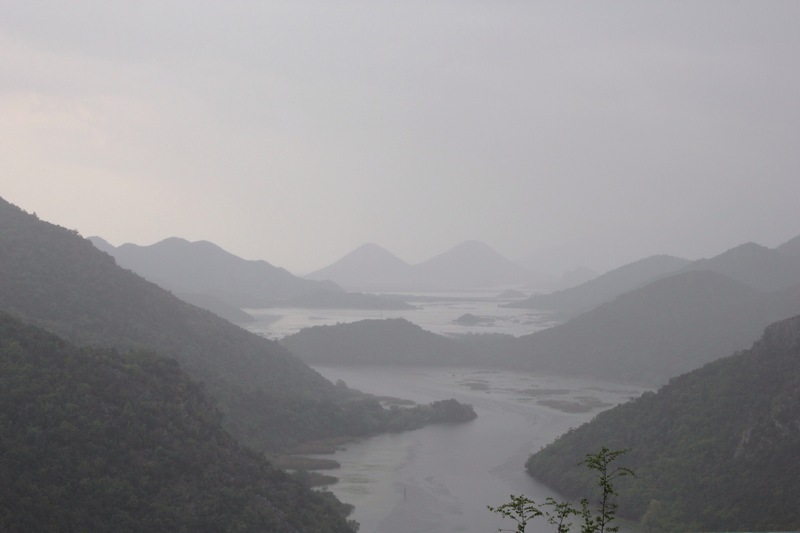 We were there during the thunderstorms which gave an awesome Jerrasic Park like feel to the landscape. 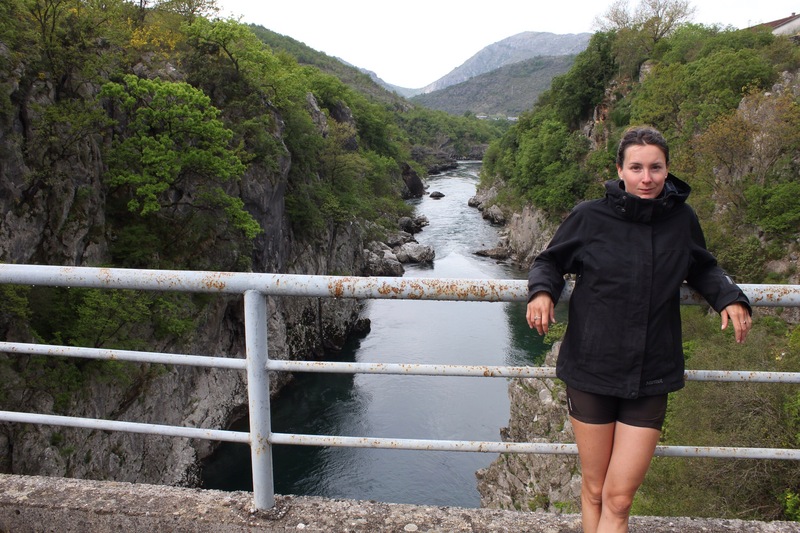 Stopping at the famed bridge in the morning we then climbed out of this amazing valley over the mountains to Kotor, Montenegro’s tourist gem which sits nestled in a large natural inlet called a ria (not a fjord!). 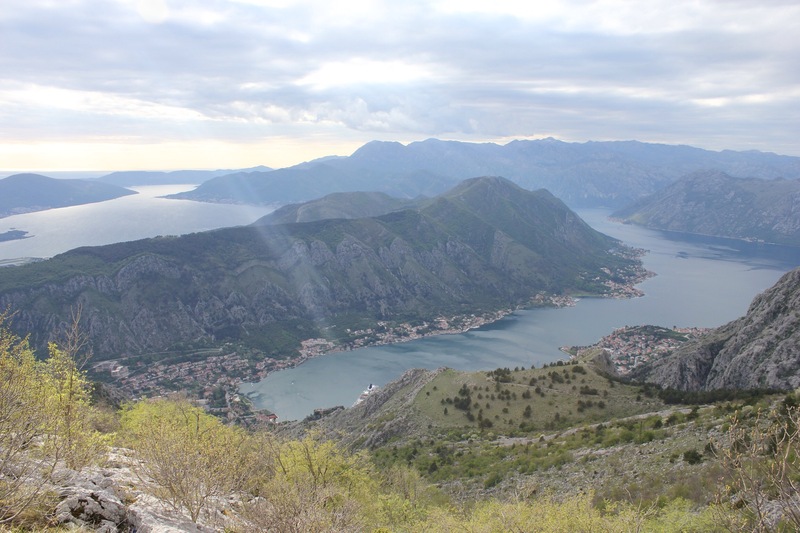 The road down to Kotor boasts no less than 29 hairpin bends and the panoramic views before you descend are something special – the Adriatic Sea sweeping round from the left and then the old town of Kotor protected by its castle walls nestled into that famous Ria to the right. The only thing to spoil the view was the cruise ship monstrosity sitting right outside the old town…. Dutch couple who sold their house and bought this! We have a lazy morning because the sun is beating down and it’s lovely here. 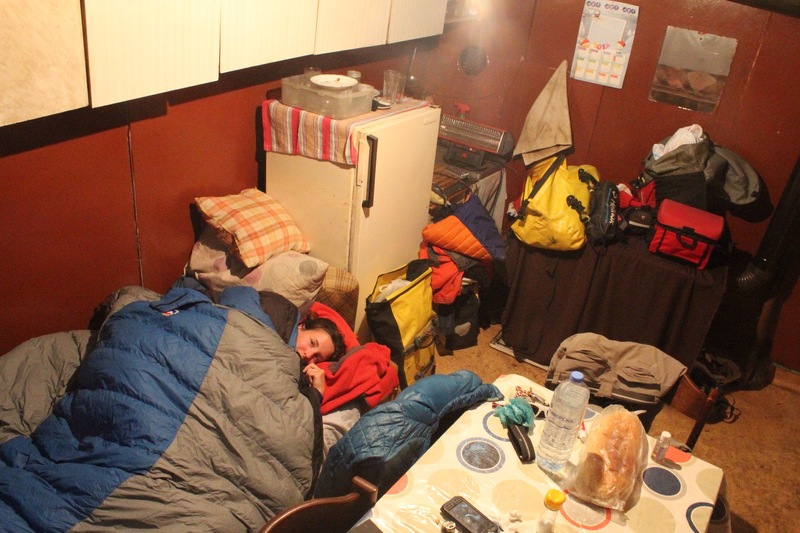 We need to recharge all our electrics, wash clothes and have our first warm shower in two weeks so the plan is to book into a hostel for one night here. The timing is good as it was due to rain HEAVILY overnight. We found a very good hostel and had a rare afternoon apart. Paddy sat in the reception on a borrowed computer to update his CV and I headed out to walk around town. Kotor is very lovely but touristy, even this early in the year. I think we’ve both been travelling for so long now that these sorts of places – particularly in the way that they are set up for you to spend as much money as possible – grate on us a little now. We’re in a different travelling mindset I guess. I’m sure if we were here for a week we’d be lapping up all the swanky restaurants and boutique shops! I had a nice stroll and then spotted a poster for a free classical concert taking place at 6pm. I turn up 10 minutes before the start time and there’s just a smattering of locals sitting under a huge glass chandelier in a beautiful new-classical reception hall waiting for it to start. From what I could gather, the players were a combination of students and teachers from Montenegro and Terana in Albania and they played a mixture of early Baroque and Romantic works. I felt pretty zen after the performance, that was until I walked outside to find the skies had opened and the promised downpour was in full swing. I didn’t have my rain coat and I got slightly lost in the narrow streets; by the time I get back I resemble a drowned rat. I find Paddy still beavering away in the busy hostel reception area. 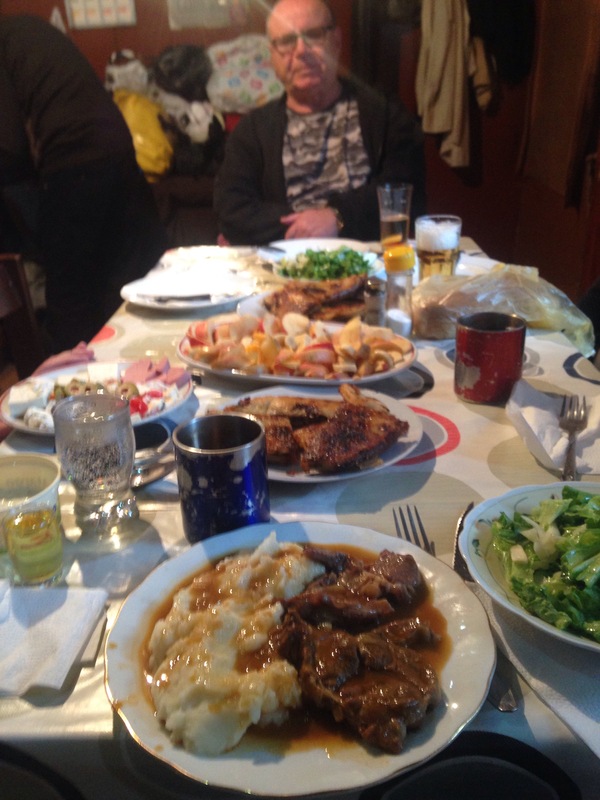 We had a fun night out with some other guests including a nice guy called John from London and we returned from the bar to our laundered clothes; presented in a tidy, folded pile smelling of washing powder and feeling all soft from having been tumble dried. Simple pleasures!! Paddy sleep walks that night and finds himself in the hostel corridor trying to find the bathroom (!) but other than that we have a good sleep in our beds. 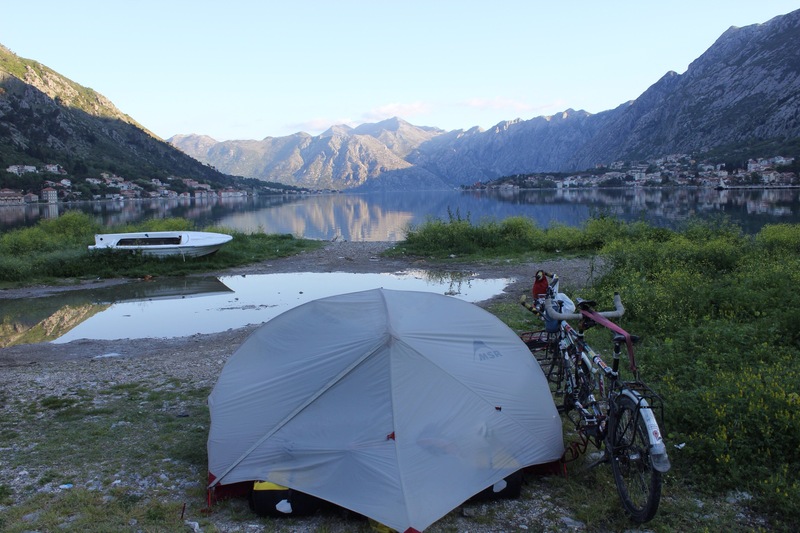 We spend the next day cycling to the border and camp right on the beachfront again. 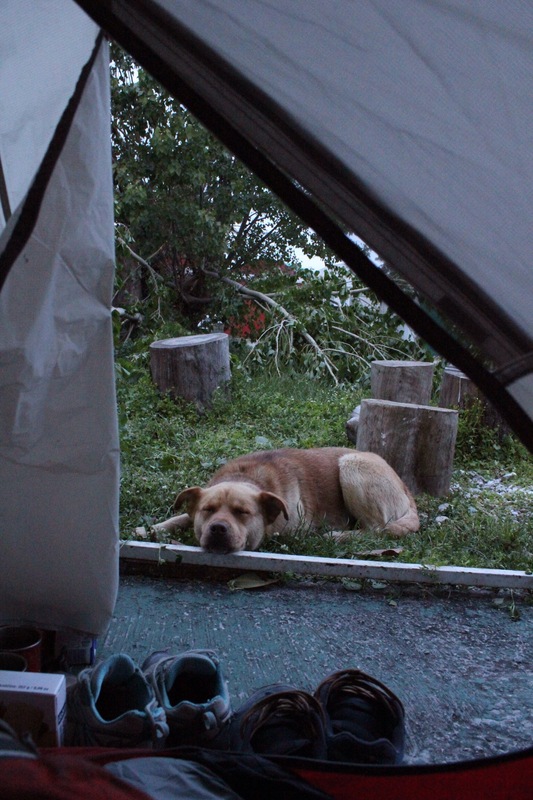 We make a friend who curls up outside our tent all night. I’m normally very anti-dogs because we’ve had one wee on our tent before, but he was too cute and docile for me to shoo him away. From here we will dip into Croatia for just a day to visit the famed maritime town of Dubrovnik before crossing into Bosnia and Herzegovina. It took us a day to cross the flat plain. 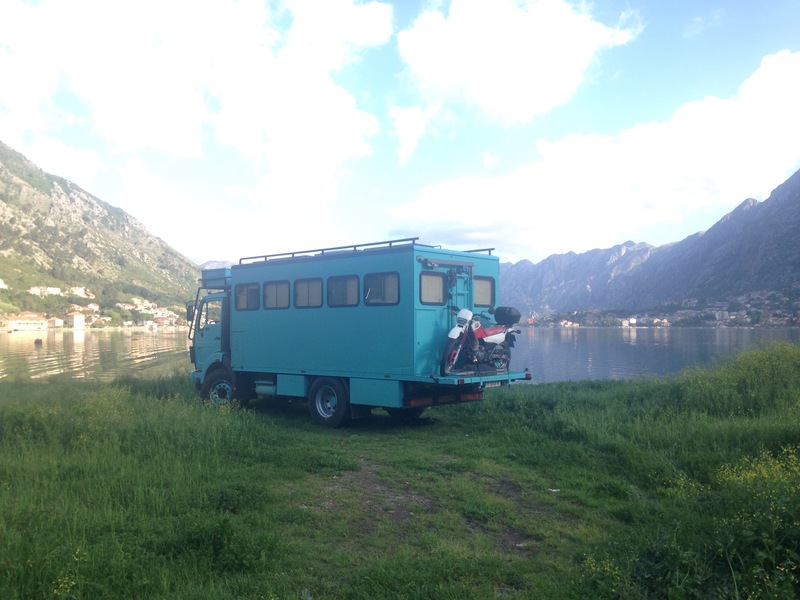 Our map showed two routes to Montenegro and we opted for what we thought would be the quieter road. It also promised to be a spectacular climb up through the Ragova canyon and we spotted that we would be able to make a quick detour to visit Visoki Decani – one of the ancient Serbian monasteries now guarded by UN peace keepers. It was a warm day with the midday temperatures working their way up to 25 degrees. 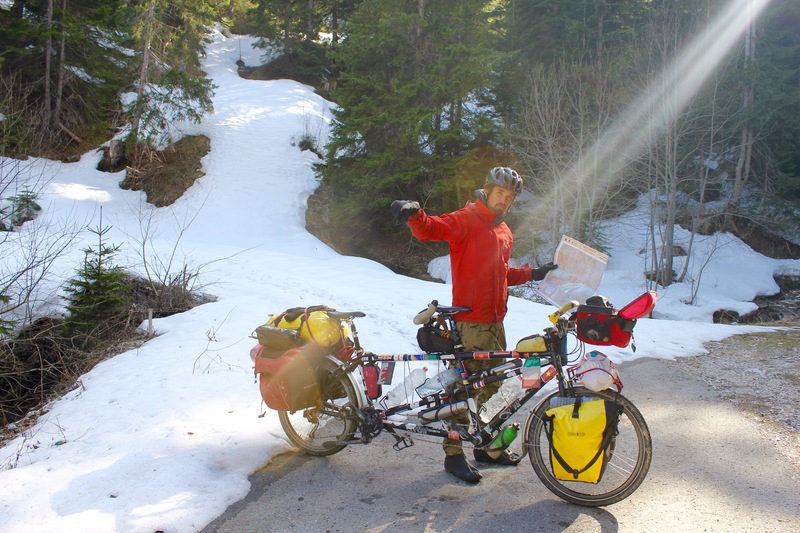 Cycle touring is so much better when it’s sunny and warm; where there is no need for the incessant layering and de-layering of clothes all day. The monastery was interesting but we couldn’t take any photos due to the armed presence there. We didn’t linger, just a quick look at the famed 13th century frescos and a brief chat with the Italian guards at the gate before heading back along the road to scout out a camp spot. 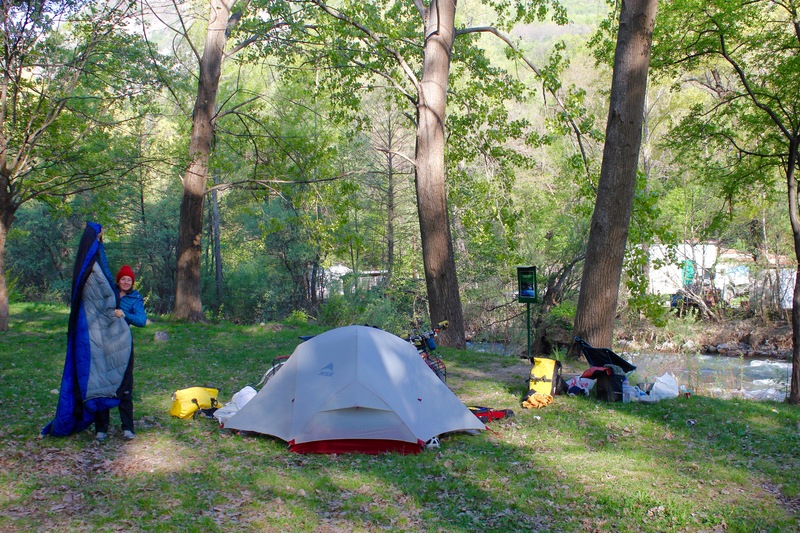 Here we cook up fajitas before settling down to sleep in our chosen spot – next to an old stone ruin in a roadside field. 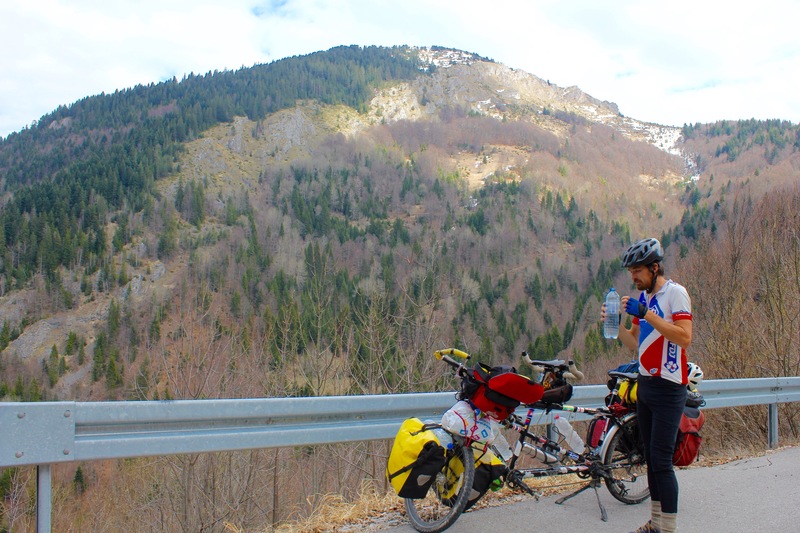 The climb would take us the majority of the day – 25km of climbing – but just as we reach the start of the climb we spot a tourist information centre and decide to stop and use their bathroom. 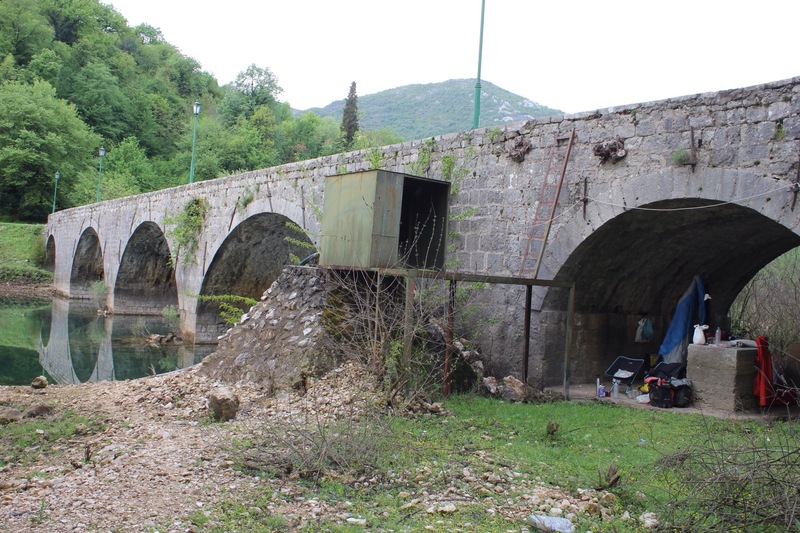 We get chatting to the attendant who tells us that in fact our intended route has no official border crossing and the road is now unused on the Montenegrin side. 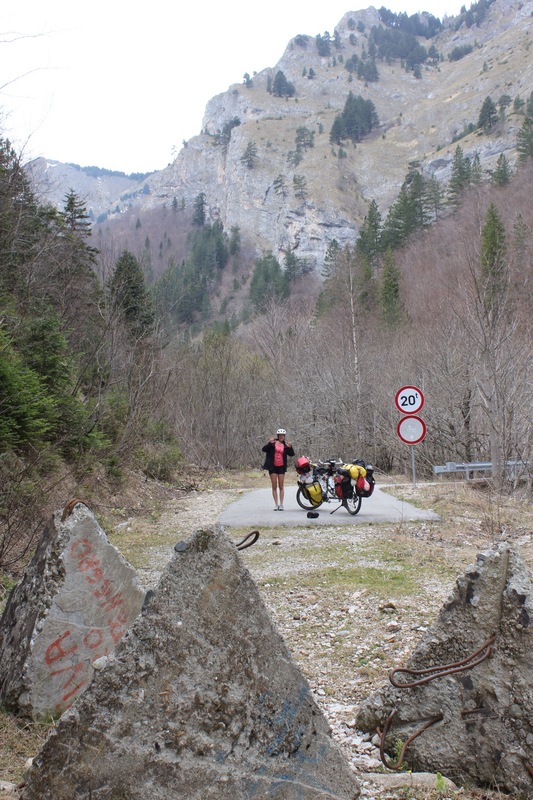 The open border is a further 20km up the road over a longer, steeper pass… We’re told its a beautiful cycle however and that we could play ignorant if we happen to meet anyone official on the other side. It’s not keeping to border rules we know but the promise of a secluded beautiful cycle was too strong so we decide to try. We reason that if we hadn’t stopped we would have been non the wiser… Before we leave we gain assurance from him that there will be no snow at the top of the pass on the closed road (1500m). 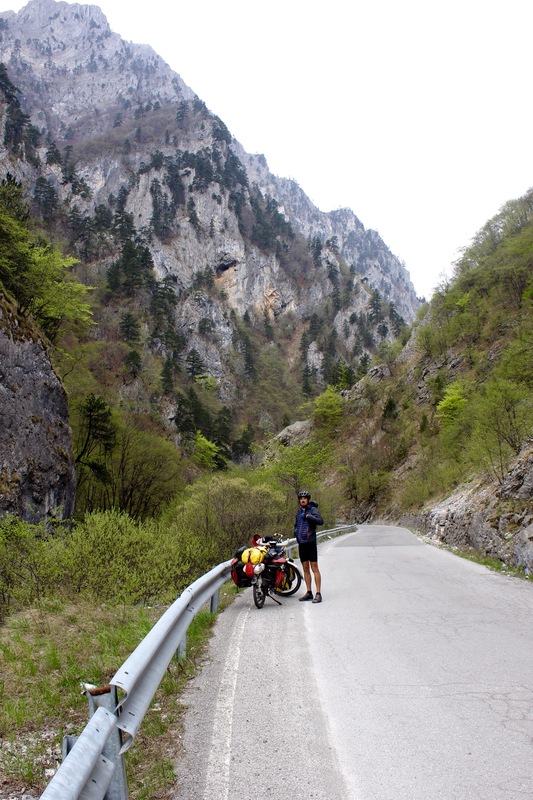 Ragova canyon is an impressive gorge and the road is cut right into the sheer rock face – very cool. There is very little traffic and we really enjoy the cycle. Before lunch we reach the borderline and our road turns into a bumpy track before linking to the closed (but well paved) road on the Montenegrin side. We both feel a little uneasy about entering here but having come this far we recklessly cycle up the track and cross the border line. Here we stop to have lunch and consider our options. It wasn’t as if we were eager to cross the border illegally but any cyclist will know that turning your back on a climb which is 3/4 complete is psychological torture. 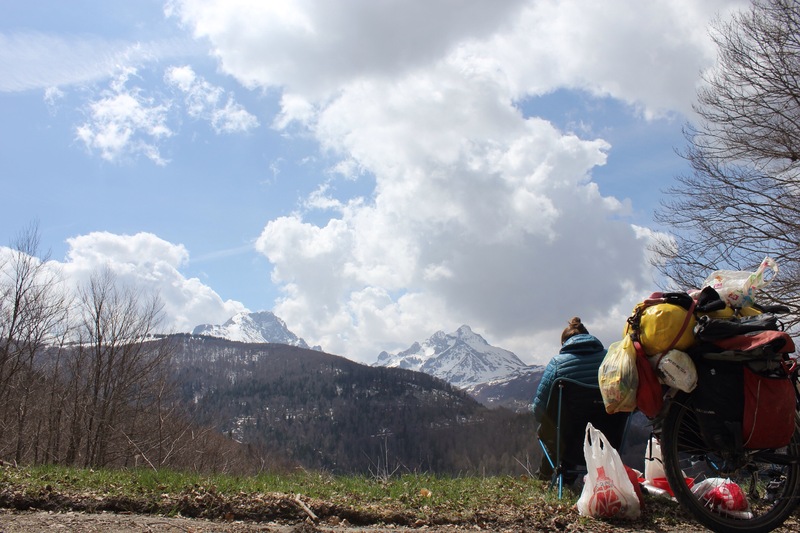 While we’re weighing up the pros and cons of turning back to alternatively carrying on to find a police station in Montenegro two Kosovan border personnel appear as if by magic from the woods. They’re very friendly and explain we’ve crossed an unofficial borderline and the road is closed – all this we knew but we decided it was better to play the ignorant tourist at this point. They check our passports and inspect the bike before telling us we can keep going rather than turning back – just this once! Relieved we jump on the bike, keen to reach the top (12km away) in good time. The cycle continues to be stunning and because the road is closed we’re the only people for miles… As we’re nearing the top however our earlier fears about snow creep back. If the road is closed and we’re going over 1200m, and the slope is north facing (which it was) there was probably going to be snow. Sure enough, we turn a corner and the asphalt disappears under the familiar white carpet. Dragging the bike through snow when it’s flat or downhill is hard enough but we had 5km of steep switchbacks before we would reach the top. Sometimes these decisions pay off and other times they don’t – admitting defeat we turn around and start the heart-wrenching decent back down. 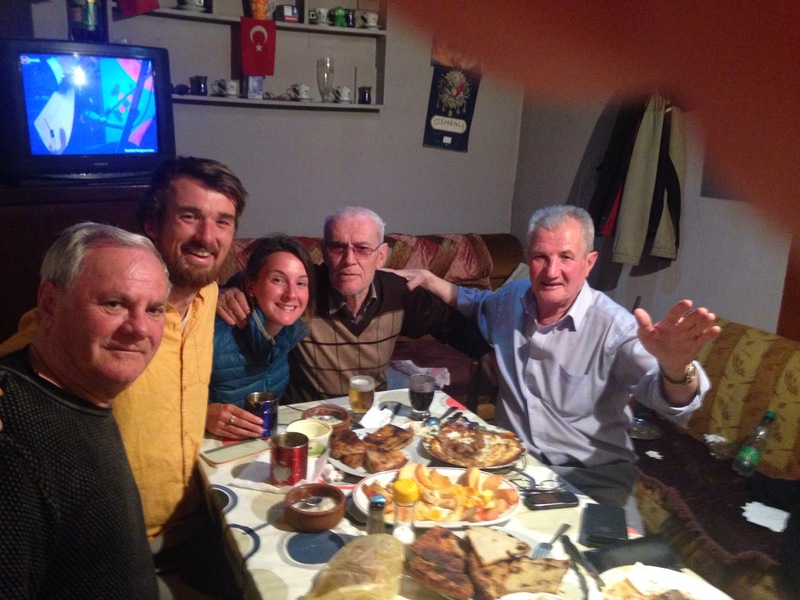 One more night in Kosovo to go then before we cross the border – this time sticking to the rules! Paddy and I both remember the Kosovan war from news bulletins; a conflict which was part of the wider Yugoslav wars and ended with UN airstricke intervention and the withdrawing of Yugoslav troops – but at the cost of thousands of lives and nearly a million people ending up displaced. It was only in 2008 the country declared independence. The conflict harks back to cultural and religious divisions between the ethnic Albanian (Muslim) and Serbian (Orthodox) communities. Although I think it’s fair to say the rivalry goes far deeper than religion. Serbia gained control of Kosovo after the collapse of the Ottoman Empire while Albania declared independence in the same year and this created the divisions. Nothing was done to try and neutralise hostilities during the Yugoslav/Tito-era period and integration between communities in the form of marriages, schools remains rare to this day. Serbian still does not accept Kosovo as an independent state. A big sticking point for Serbia is that Kosovo retains a huge slice of ancient Serbian orthodox heritage. Some of the most important Serbian churches and monasteries sit in what is now dominated Muslim Kosovo. In fact, Religious sites were easy targets on both sides during the conflict and many ancient mosques and churches were destroyed. As a result we still see signs for camera surveillance around religious sites and a number of important Serbian churches are still heavily guarded by UN troops. We have already seen Polish, German and Swiss guards on duty during our short time here. Skirmishes still happen although the country is now on the whole very safe. 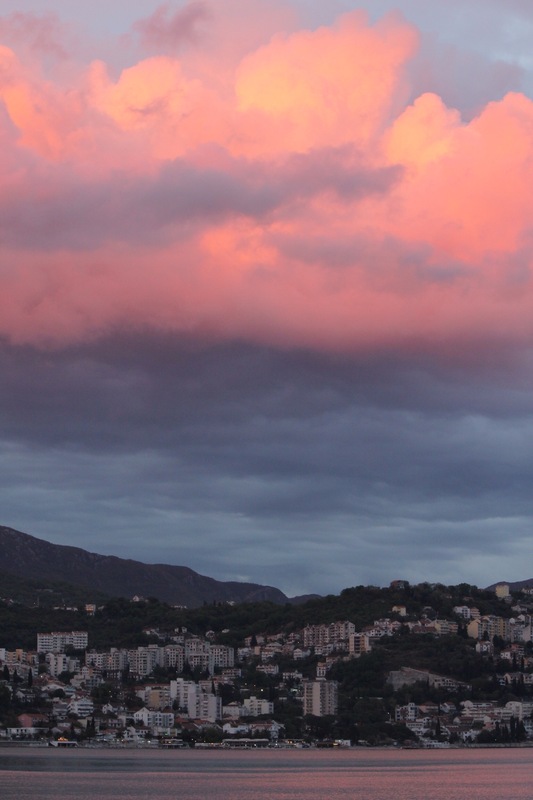 It is however, vulnerable to organised crime and money laundering; as is the case in neighbouring Albania. In fact, ethnic Albanians are said to supply up to 20% of western Europe’s heroin. 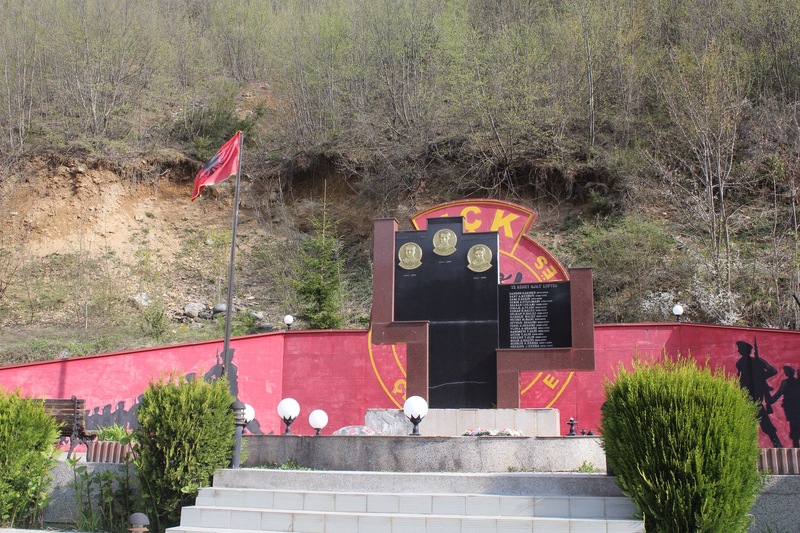 This introduction all sounds a bit bleak but little Kosovo is far from it – we were both excited about visiting here and were keen not to let any preconceived ideas cloud our experience. 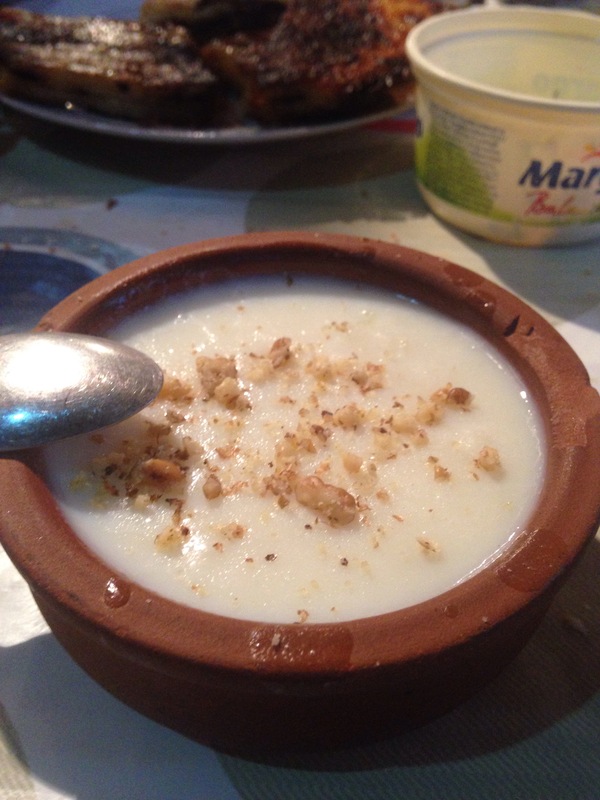 What did little Kosovo have to offer despite its turbulent recent history? Well, we found a country full of some of the friendliest, pragmatic people we have met so far, picturesque little towns and villages and a lively outdoor tourism sector. Apart from the military presence there really isn’t much evidence that a war took place at all. 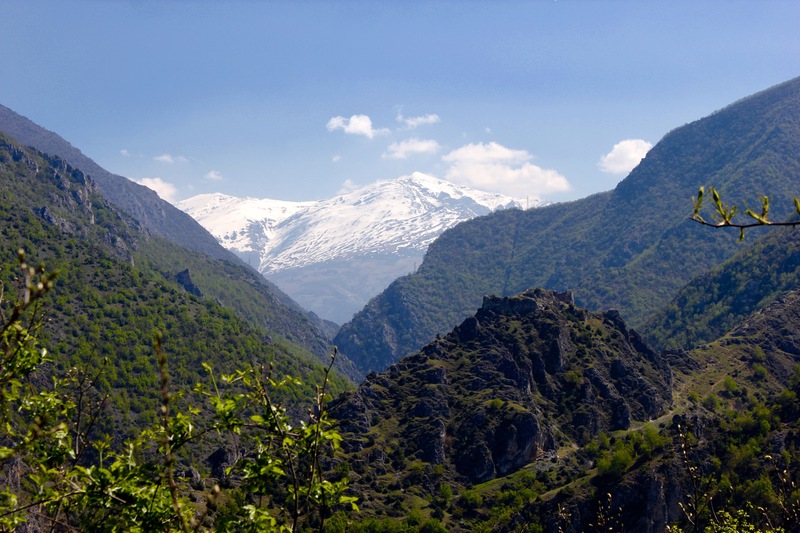 Kosovo is prospering – it’s GDP was one of the few countries which continued to grow during the crash. They have the Euro here but prices are low and there seems to be two economies: urban and rural. All the towns and villages are filled with big modern houses, the roads are well maintained and community parks, and buildings nicely looked after. Although it would take years to fully understand the situation in Kosovo now – and we only have four days! 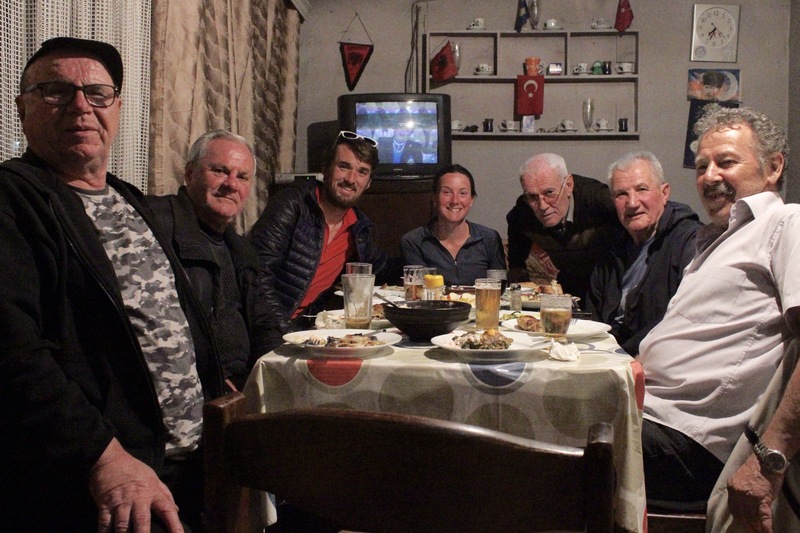 – there does seem to still be a significant amount of segregation between the two rival communities – one town we pass through will have mosques and be flying the Albanian double eagled flag but the next village will have a church and versions of the Serbian flag will be flying. War tribute monuments are also common.